I have to admit that I was as sceptical as many others when it was announced that London would host the 2012 Olympic and Paralympic games. Could we make a good job of it or would it be a shambles? There was something I was certain about and that I was I looking forward to being able to go and watch some of the events. In the end, we only managed to see the cycling Road Races and Time Trials as we were not able to get tickets for anything else. On the morning of the men’s road race, we headed out on our mountain bikes and cut across country to the North Downs Way where we watched the racers go past on Staple Lane. 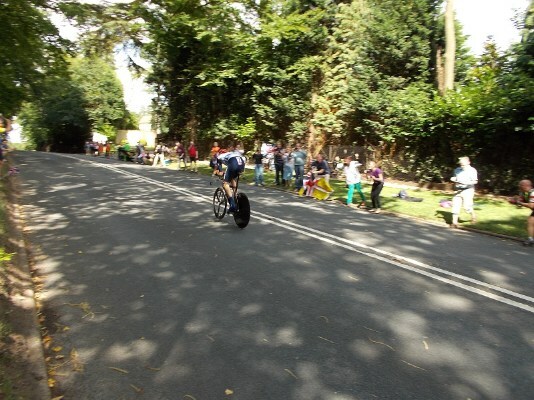 A quick trip back along the NDW took us to Mickleham where we watched them go past for the last 6 of the 9 laps. As the A24 was closed, we were able to cycle up the wrong carriageway, a weird experience. We saw the rest of the race on the big screen at Denbies Vineyard while enjoying a pint of Shere Drop. No medals for TeamGB. 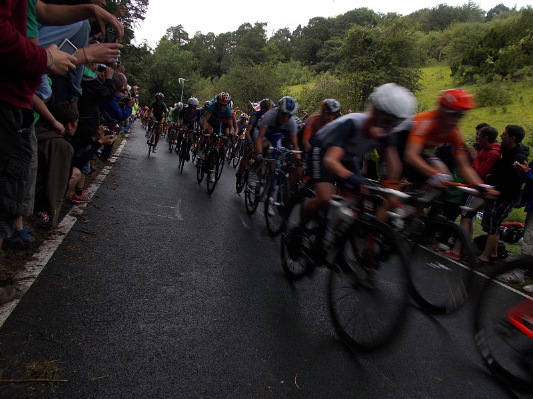 We watched the ladies road race on the Boxhill climb (thanks to 2 unused tickets from Simon Usher). We had to collect them from a ‘pretty Policewoman’! The weather was not as kind for this race as it was for the men. Once again, no gold medal but Lizzie Armitstead got silver. The following Wednesday, we headed off to watch the time trials. We found a great spot to spectate near Claremont Gardens. The women’s race was first followed shortly after by the men’s event. Finally TeamGB took a gold medal with Wiggo being fastest over the course. And so our Olympic spectating experience was over, but there was still the Paralympics to enjoy. As the Paralympians began to arrive in the UK, the excitement started to build. Each of the athletes had their own tale to tell about their disability and how they have overcome it to be able to compete. The TV coverage was not as extensive as it had been for the Olympics, but it was easier to buy tickets. 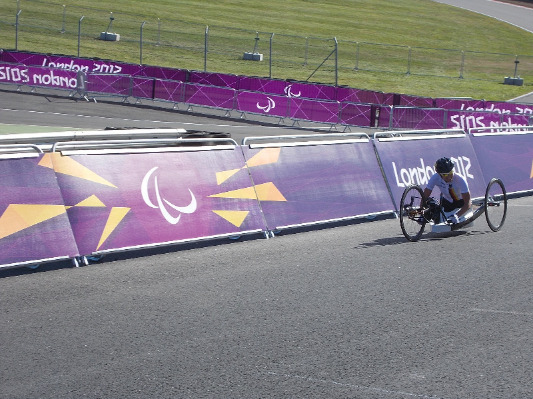 I bought tickets for the Hand Cycle road races at Brands Hatch. I was really looking forward to going – watching a computer screen for updates was not the most exciting way to watch for results. 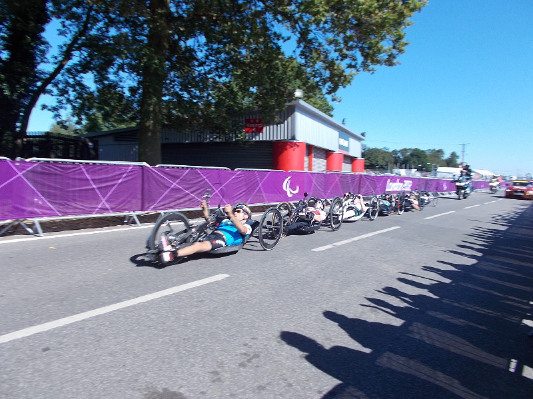 Part of our decision to get tickets for the hand cycling was that Alex Zanardi was racing in the H4 class. Zanardi had lost both legs in a near fatal crash in Germany while racing his Champ car in 2001. We arrived at Brands on a hot, sunny Friday – it would be a tough day for the racers, which were split into 4 classes depending on their lower limb dysfunction and stability. Spectating inside the circuit was limited but it was all accessible. There was plenty of free water available and a good selection of concession food stands. The first 2 races were the only ones with British interest, so we were free to cheer for everyone – but that would have happened anyway. From cheering for the fastest to encouraging the slower athletes, I was getting hoarse from the shouting. Words cannot express how inspirational the racers were – they all gave it everything they had, and more. 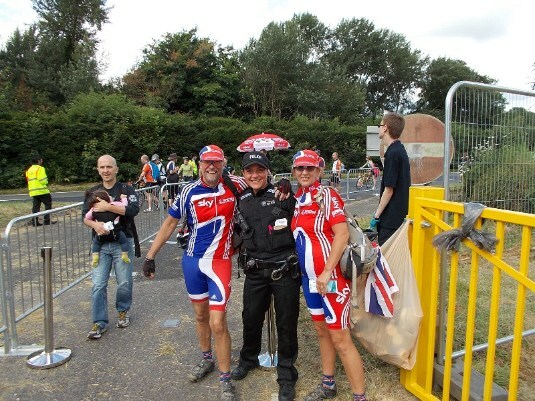 They also mingled with the spectators once their race was over. In readiness for Zanardi’s race, we positioned ourselves on an uphill section just before the finish straight and got the Italian flag out. We cheered as the racers came out and when Zanardi came past, we wished him luck in our limited Italian. The race was 8 laps of an 8km course (64 km in total) and for 7 laps, there was a constant game of ‘cat & mouse’ with 8 racers fighting it out. In the end, it came down to a bunch sprint with Zanardi taking gold. But to me everyone competing that day were winners. We witnessed something really special that day and the memories will last for the rest of my life. I was humbled and honoured to be part of it. It was truly inspirational. Is it wrong for me to admit that I am also jealous of them? 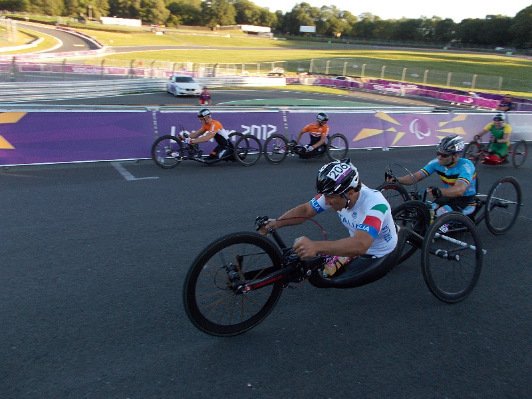 Age is not a limiting factor to their being able to compete - Zanardi is 45 and was competing in his first Paralympics. 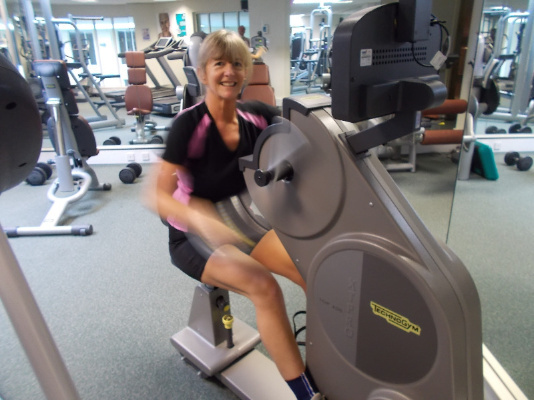 Post-script: I was in a hotel gym last weekend and they had a hand cycle machine. 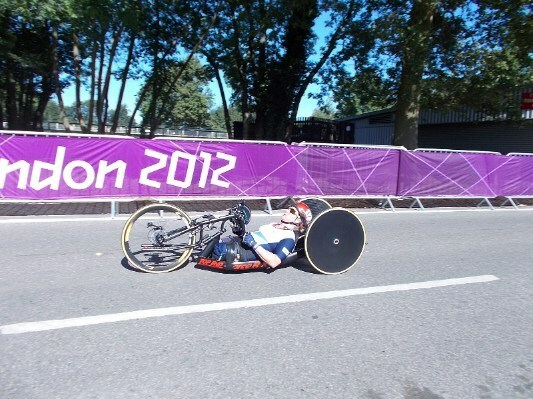 I had a go – it was hard to hand pedal for 4.5 km let alone the distance covered in the road races by the Paralympians. I have a renewed admiration for their achievements.